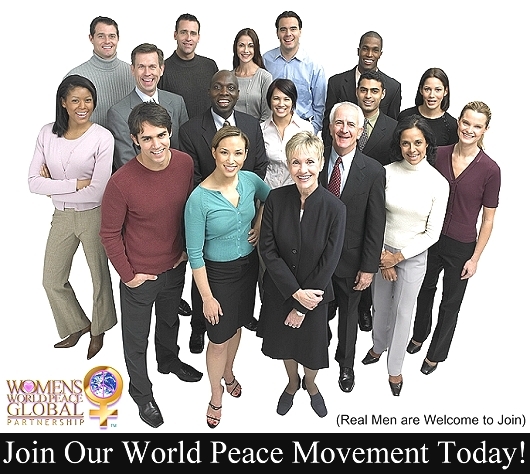 Thank you for Joining Our Women's World Peace Global Partnership! Let's Rally the World for Global Peace by sheer weight of our Global numbers and positive energy! Invite your friends, spread the word and make some noise! It's time to become very creative and viral as we all unite to "Help Make the Concept of World Peace Marketable!"